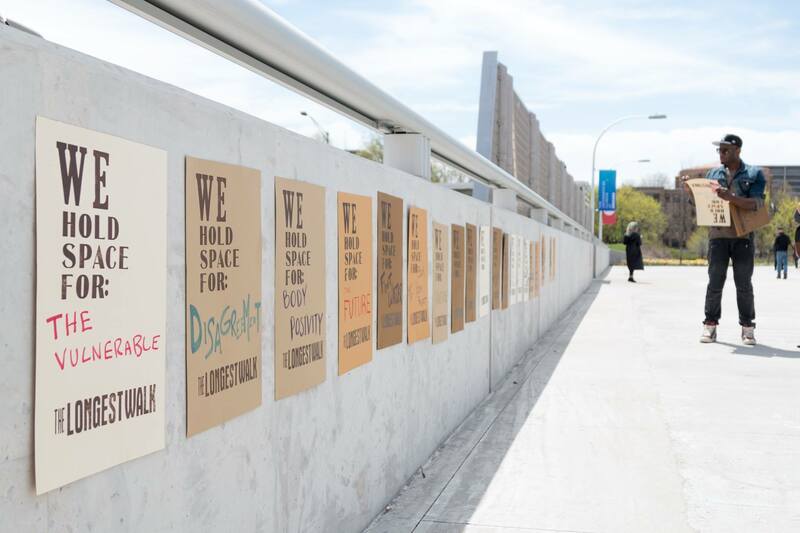 The LONGEST WALK project creates temporary installations as a form of public monument. It honors the women who have lead resistance groups throughout history and around the world. 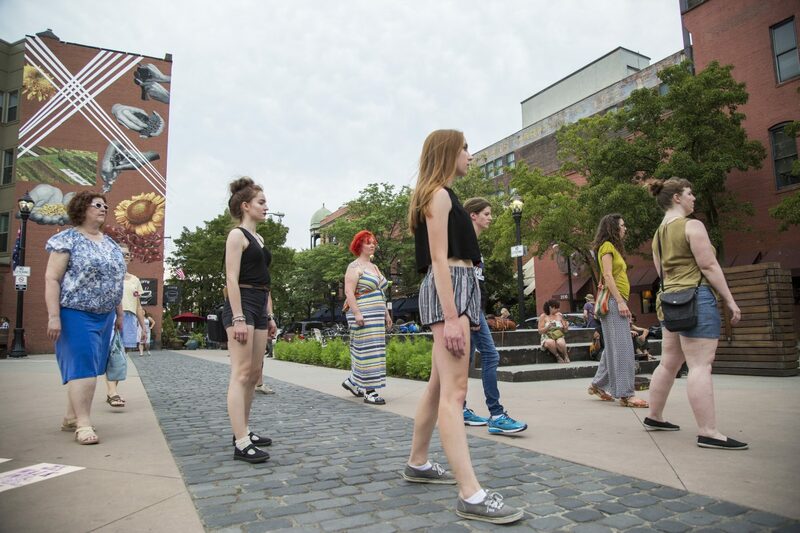 This project developed in response to the militarization of public space during the 2016 Republican National Convention (RNC) in Cleveland, Ohio. It highlighted the glaring absence of women from the RNC platform while filling that absence with reverence. The first iteration included over twenty-five participants and nightly actions over the course of ten days in Market Park and Public Square. 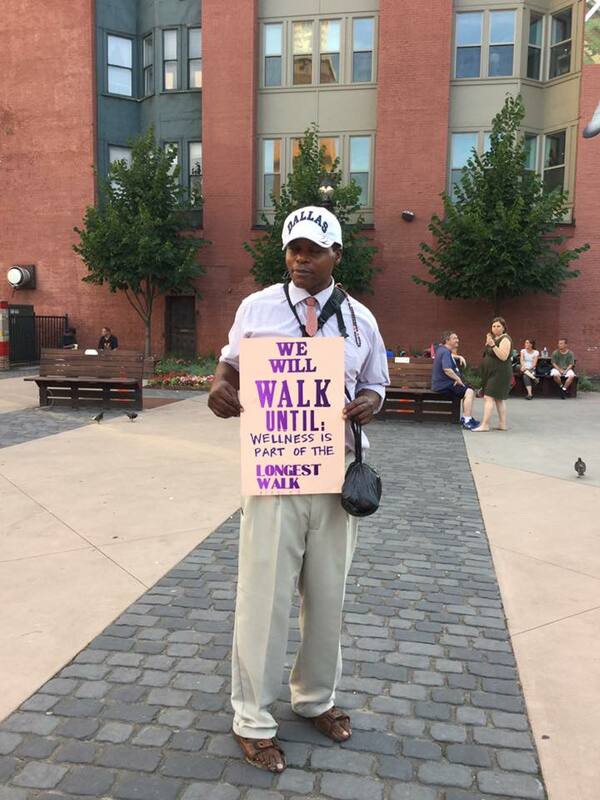 Participants arrived on-site and began the silent action without comment. 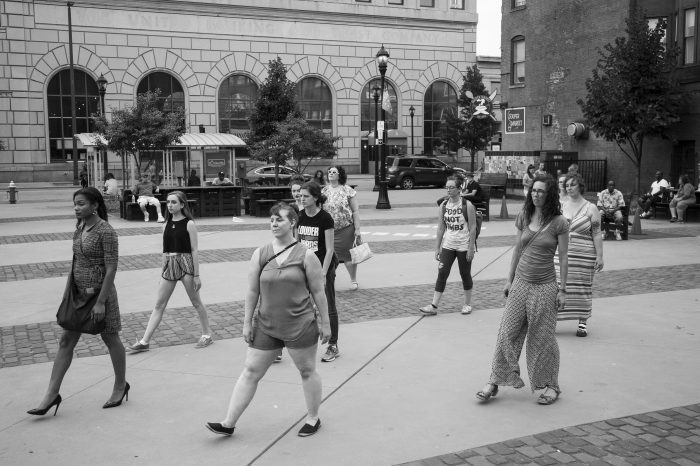 They held the space of one square block for twenty minutes by walking in a cyclical pattern of forward and backward steps. 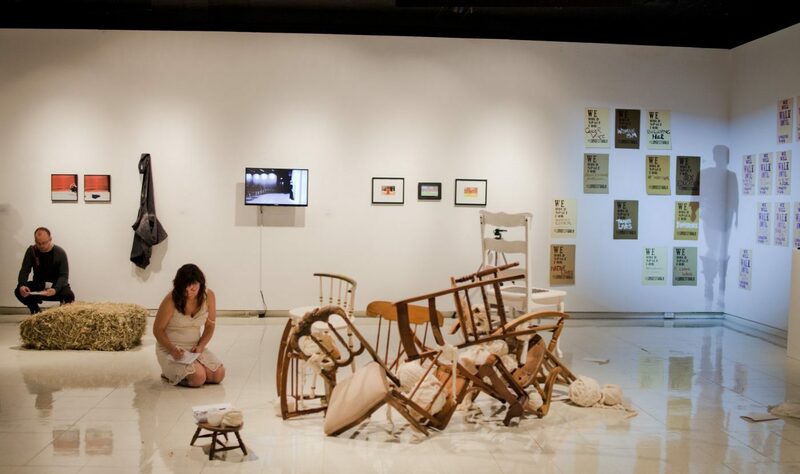 The embodied installation pressed against the social structures dictating women’s silence or dependency. The action grew as viewers joined and armed guards stood ready. 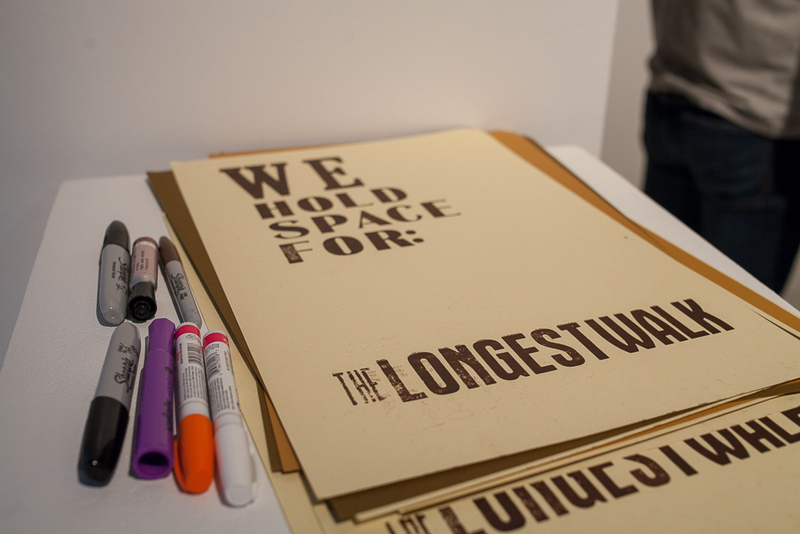 Print works on paper were installed as serial public texts. 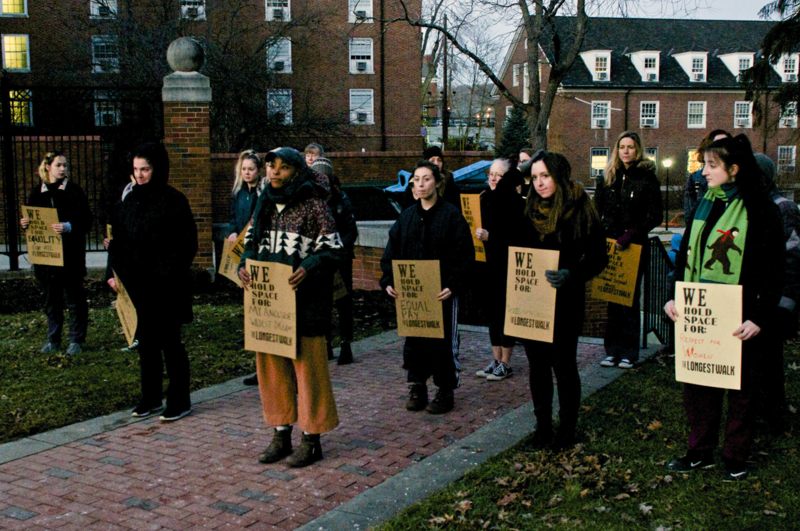 They cut into the unequal power constructs of the space, while encouraging public discourse on privilege and protest. 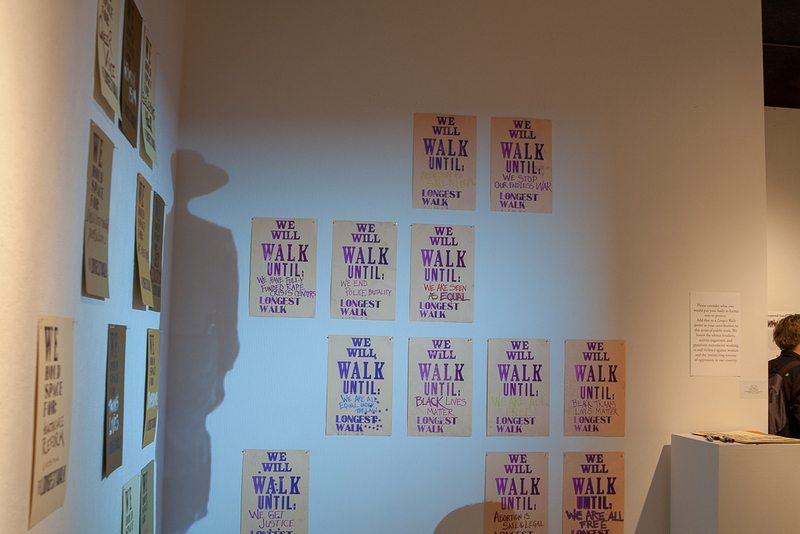 First iteration posters read, “We Will Walk Until _____” and featured dedications completed by participants and viewers. A second iteration of this work was presented in April, 2017 as the Trump presidency marked its first 100 days. 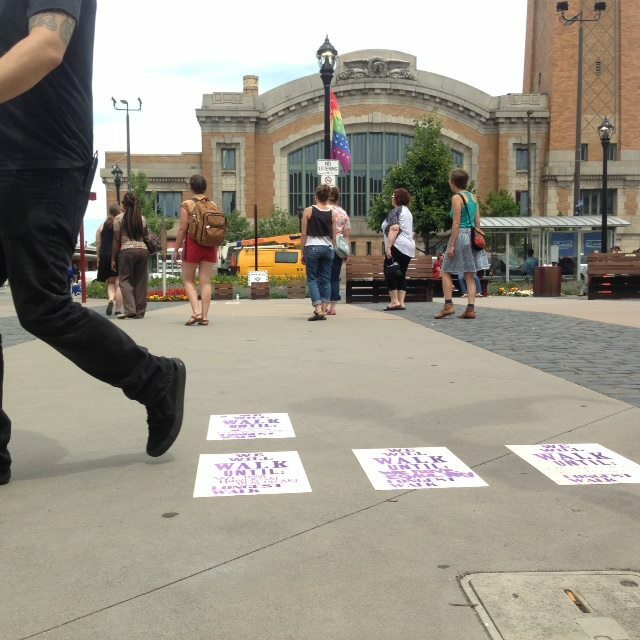 Once again, the living monument gave homage to the rich history of grassroots movements and leaders. However, Longest Walk: Chicago acknowledged the crisis of representation within political spheres. 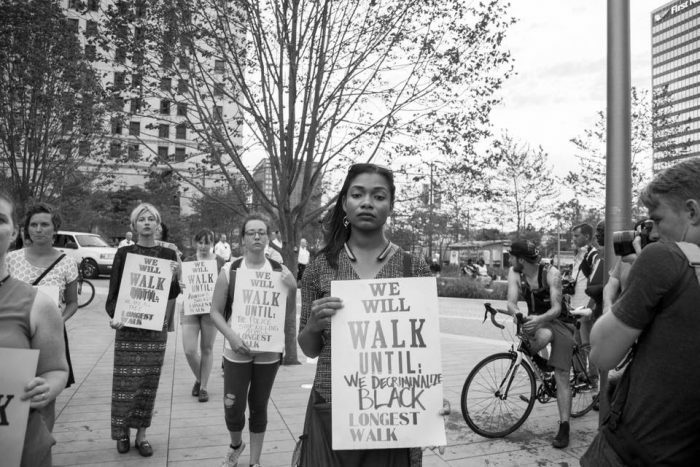 A new series of print works reflected the growing urgency and calls to action. 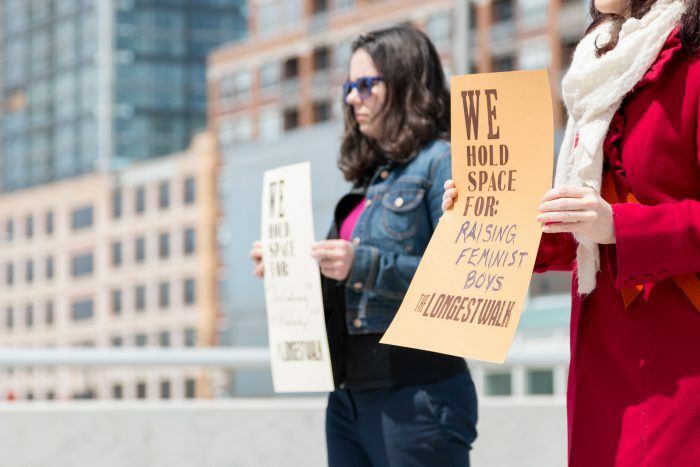 They read, “We Will Hold Space For _____” and contributors were asked what was worth putting their bodies on the line to protect. 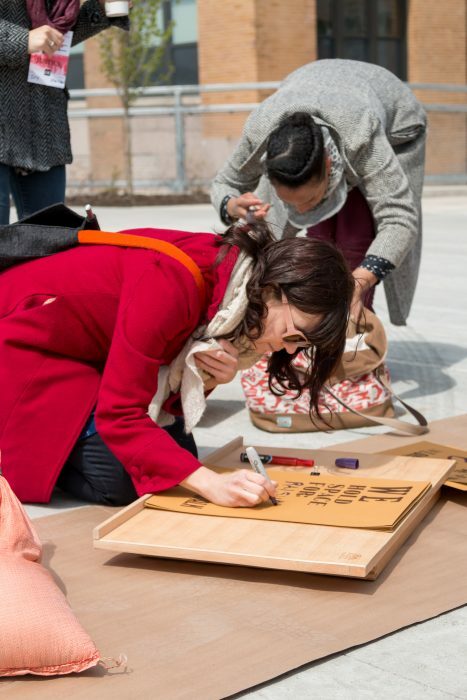 Participants installed their pledge onsite or held that commitment while joining the walking action. 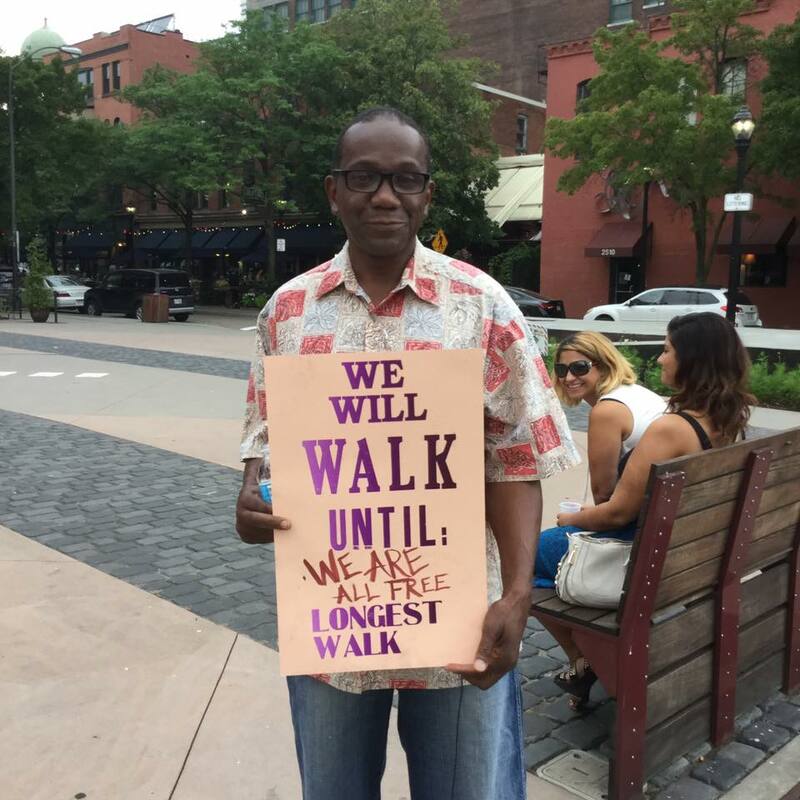 Longest Walk: Chicago took place on the Peoria walking bridge during the 2017 Open Engagement: Justice Conference held at University of Illinois Chicago. 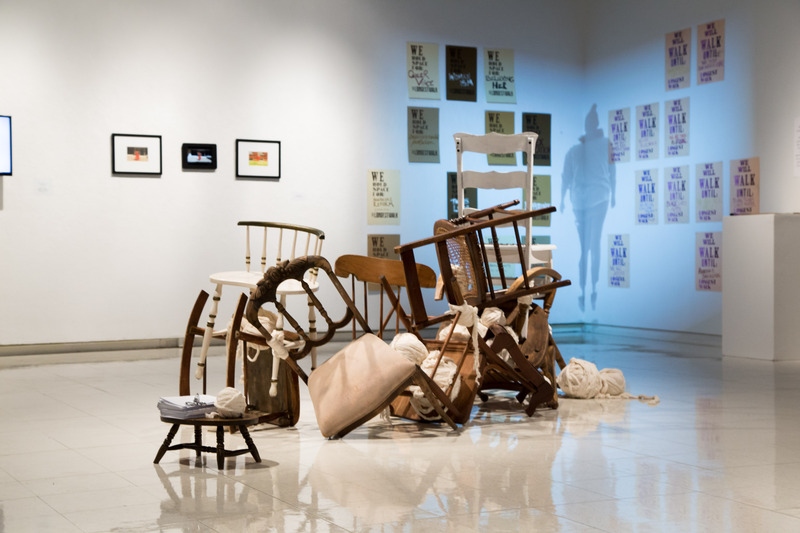 The installation was supported by curators Neysa Page-Lieberman and Melissa Hilliard Potter as part of the Revolution at Point Zero: Feminist Social Practice exhibit at Columbia College Chicago. 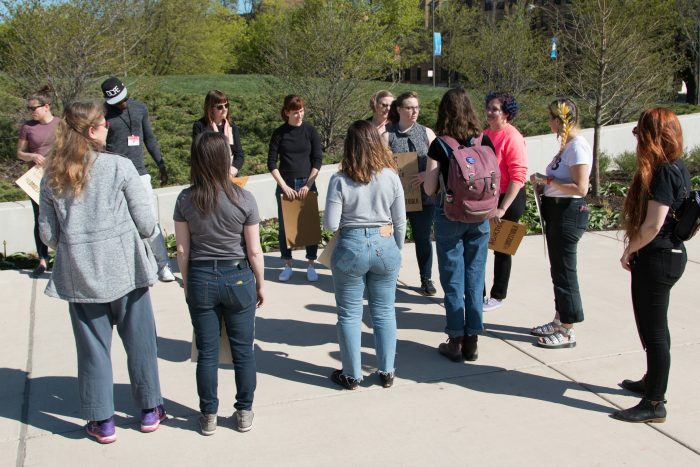 In 2018, artifacts from the first two iterations were presented through Ohio University’s School of Art & Design. 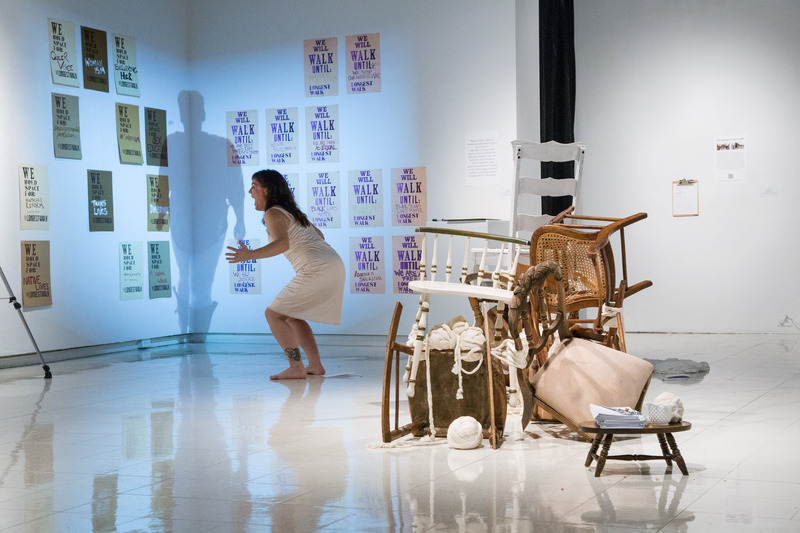 The exhibition – Temporal and Corporeal: A Broad Scope of Performance Art – was curated by Courtney Kessel with support from Dr. Jennie Klein and MA/MFA students: Dylan Berry, Becky Chmielewski, Sarah Grabner, Maddie Hager, and Quinn Hunter. 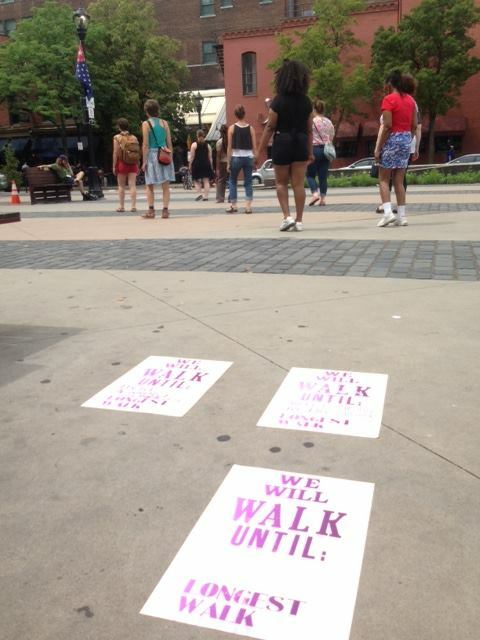 The Longest Walk project continues, with extensions including a digital listening project. Female identifying activists contribute their motivations and concerns regarding protests and physical activism in contemporary culture. 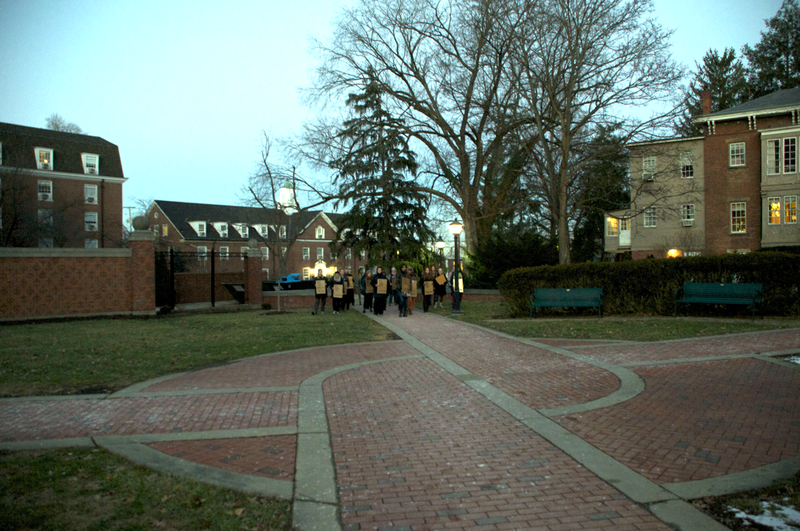 Participants are audio recorded in conversation and filmed in a walk of forward and backward steps. Video archives have been presented through exhibition at Glass Curtain Gallery (below as video stills) and Ohio University Gallery.